The statement appears to be placing pressure on Potanin’s Onexim Group to make an offer to buy out smaller shareholders, noting that Potanin has a significant stake already, and may in fact already control Norilsk. The statement comes amidst mounting questions concerning the deal announced on Tuesday. Polyus Gold said on Wednesday that had received no information on the deal under which a 32.5% stake in it, Russia’s largest Gold producer, would be used as part payment by Potanin as purchase for a 16.6% stake in Norilsk. 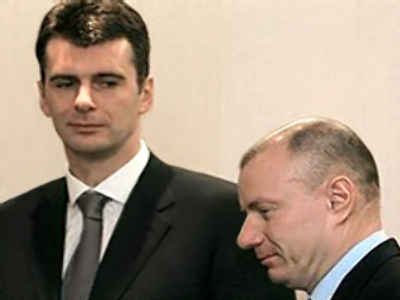 Analysts are also questioning from where Prokhorov could have acquired the 16.6% stake he proposes to sell, given that he has sold the 25% stake to Rusal in December 2007 and sold a further 4% stake to Potanin in May.